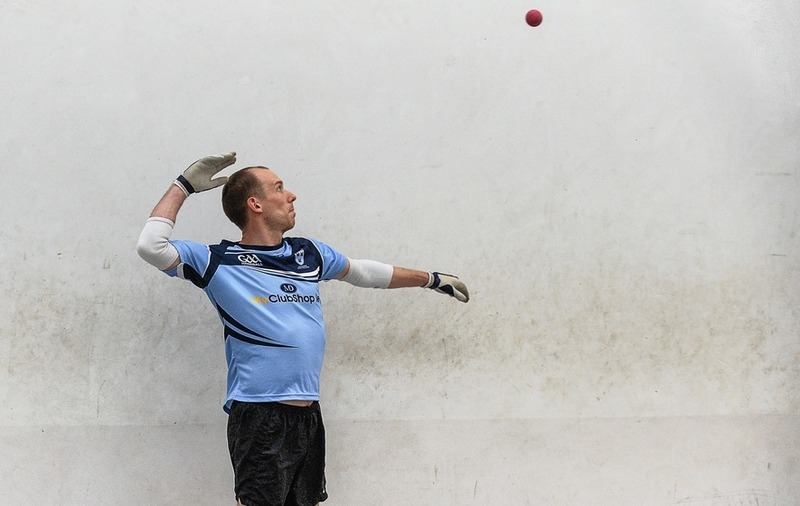 Dublin v Meath rivalry in any code of the GAA is intense and it will be no different today, at Croke Park, when the counties clash, once again, in the final of the men's All-Ireland 60x30 Doubles Handball Championship. It is a repeat of last year's decider when Tom Sheridan and Brian Carroll took the title from holders Eoin Kennedy and Carl Browne. “Down the years, there have been many tough tussles between Meath and Dublin in football and it has become something similar in handball. With the counties so close there is always a big crowd of enthusiastic supporters in attendance and the atmosphere can be electric,” says Eirgrid engineer Kennedy. “Tom and Brian come from Kells and there will be a huge crowd from there supporting them. I'm looking forward to facing them again. It should be a great game, a really tough game but I would be hopeful of winning back the title. “We were defending the title last year but Tom and Brian were worthy winners on the day. We will be underdogs but we have been playing well this season and we will, certainly, do our best to win back the title. Kennedy has won the All-Ireland senior doubles five times, four with former partner Egin Jensen and once with Carl Browne, while Sheridan has a huge 14 Double crowns to his credit. The Meath man announced, some time ago, that he was quitting but then changed his mind. “There was no reason for Tom to stop as he gives 100 per cent every time he goes on court. When you are enjoying the game, and can devote time to it, there is no reason to quit,” stresses Kennedy. Both pairs showed quality in their semi-final victories with Sheridan and Carroll overcoming Limerick's county footballer Seamus O'Carroll and CJ Fitzpatrick at 7 and 10, while Kennedy and Browne defeated Mayo men Joe McCann and former Roscommon county footballer Dessie Keegan at 17 and 5. Meanwhile, Cork's Catriona Casey, playing with partner Aisling O'Keeffe, won her fifth women's Senior Double title with an easy 21-8, 21-9 defeat of Kilkenny pair Aoife Holden and Ciara Mahon.